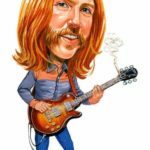 Howard Duane Allman, nicknamed Skydog, was an American guitarist, member of The Allman Brothers Band. 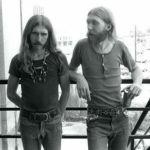 The band was created by him and his brother Gregg. 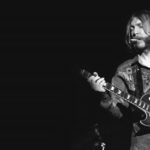 He is also known as a session guitarist. 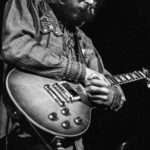 He played mainly the guitars by Gibson. 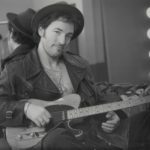 In 2011, Rolling Stone magazine placed him in the ninth place in the list of the 100 greatest guitarists of all time (in 2003 in the same list he was second). 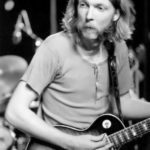 Howard Duane Allman was born on November 20, 1946 in the capital of Tennessee – Nashville, known as the capital of country music. 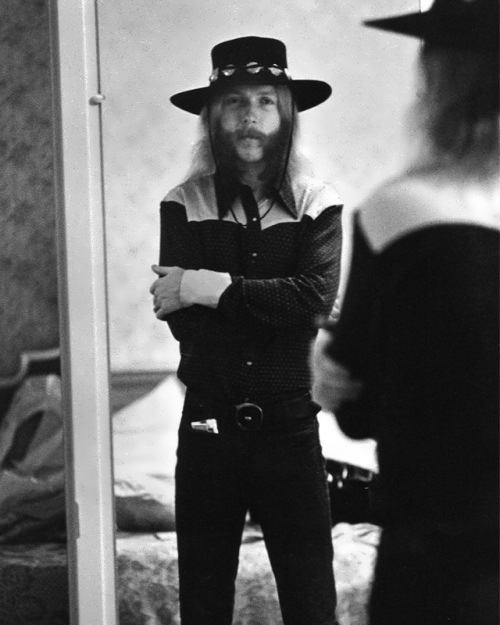 His brother, Gregg, was born on December 8, 1947. 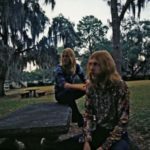 Howard was taught to play by his younger brother, but he had ‘natural fire’. 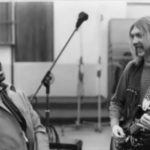 The brothers learned to play by listening to Muddy Waters, Robert Johnson and other blues musicians of the past years. 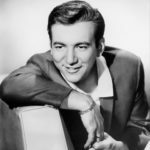 The brothers started playing publicly in 1961, joining or forming a number of local groups. 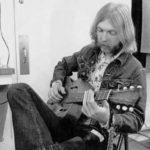 His first single Spoonful Howard recorded with his brother in 1966 as part of the group The Allman Joys. 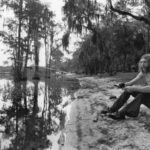 In 1969, the Allman Brothers created The Allman Brothers Band and recorded their first album on Capricorn Records. 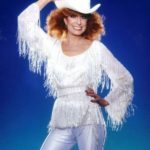 The band had great success in the early 1970s. 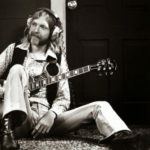 The peak of popularity as a guitarist was in 1970 when Duane had a chance to work together with Eric Clapton in the band Derek and the Dominos for the album Layla and Other Assorted Love Songs. 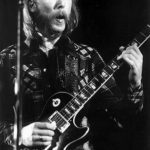 Howard Duane Allman tragically died in a motorcycle crash on October 29, 1971 in Macon, the USA. He was only 24 years old. 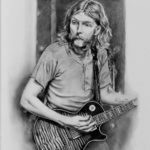 The Allman Brothers Band played at their leader’s funeral three days later, deciding to continue in his memory. 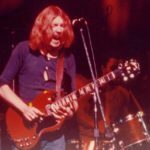 Bass guitarist Berry Oakley died less than 13 months later in a similar motorcycle crash a mile from the site of Allman’s fatal accident. 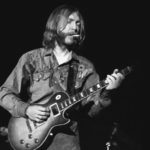 Allman is best remembered for his expressive slide guitar playing and inventive improvisational skills. 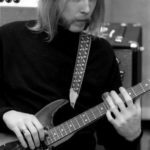 His guitar tone was named one of the greatest of all time by Guitar Player. 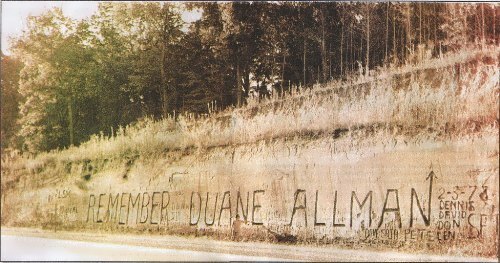 In 1973, fans carved the very large letters “REMEMBER DUANE ALLMAN” in a dirt embankment along Interstate Highway 20 near Vicksburg, Mississippi.